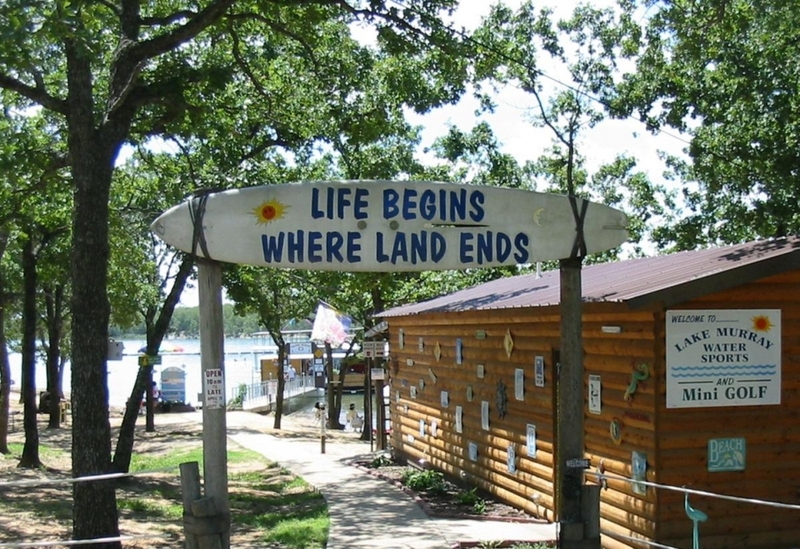 Located in front of the Lake Murray Resort, 3 miles east of I-35 (exit 24), Lake Murray Water Sports & Mini Golf offers a variety of water adventure rentals including paddle boats, canoes, kayaks, water bikes, the water slide and water trampoline, sailboats, waverunners, jet boats and the waverunner island cruiser. You can also book day and sunset cruises on a pontoon or houseboat. Check out the website for more details!